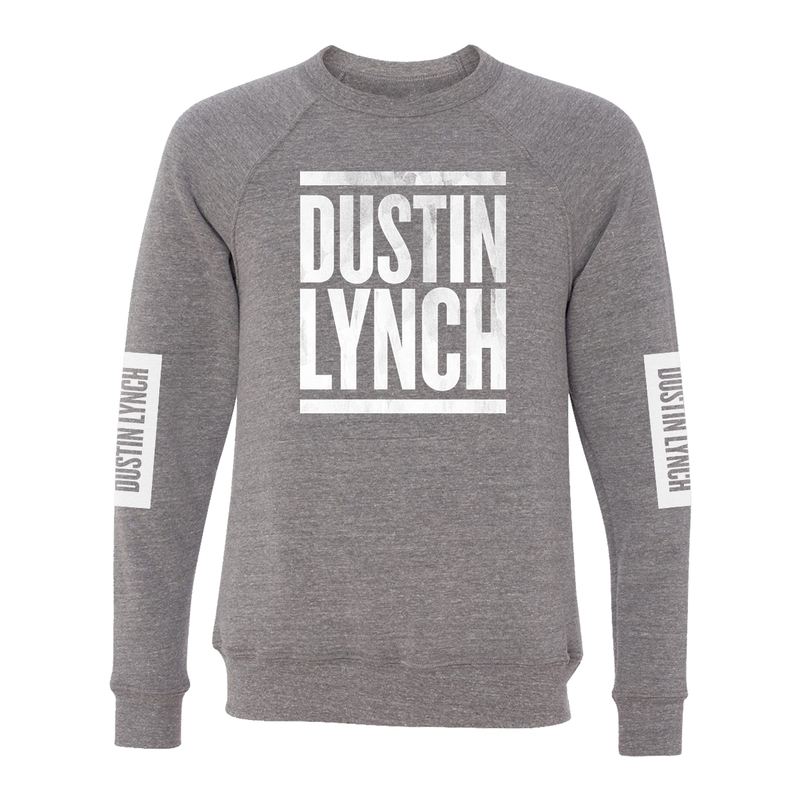 Grey crewneck sweatshirt featuring Dustin Lynch logo on the front and both sleeves. Literally the most comfortable thing I own. Super soft on the inside and love the design! I love the crewneck sweatshirt Dustin Lynch logo. It fits perfectly i got an x-large a little loose but i love it during winter. I love it that its warm and comfy the cotton material i love. I really recommend this for someone.